Packed full of detail and adorned with beads to make the season bright. 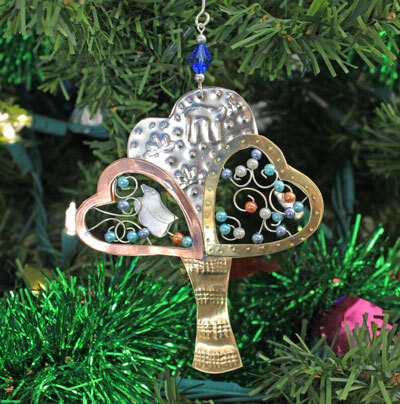 Each handcrafted ornament is approximately 3" of nickel, copper, and brass. All are two sided, which means that they can hang and spin and show great detail on both sides. 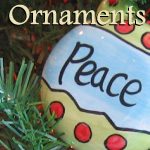 The Judica Tree of Life ornament measures 4 1/4" x 3 3/4". This ornament was hand produced in a small village in Thailand. Pilgrim Imports mission is "Working Together for Good" and aims to ensure that craftspeople in the village earn a fair wage... one which will keep their families and village together while providing a better life for their children.